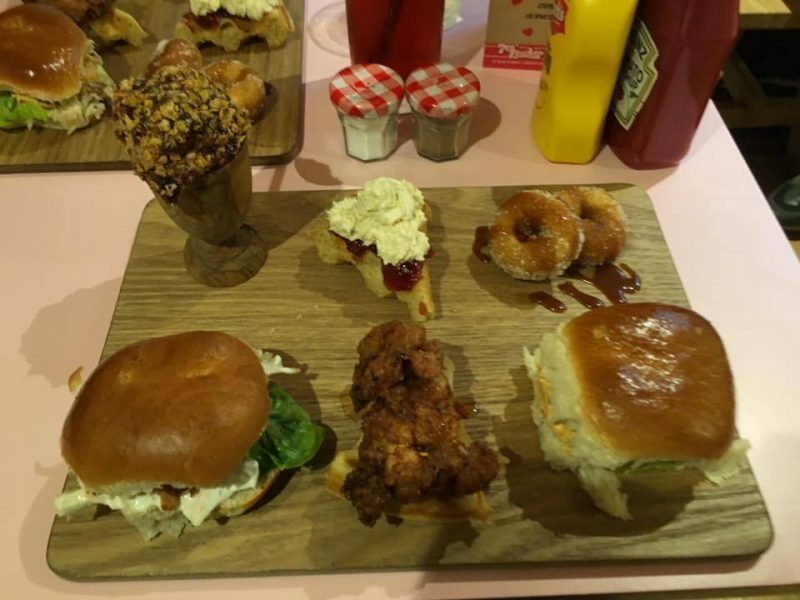 If you’re looking for super quirky places for Afternoon Tea then take a look at Red Letter Days, but for now I’ve found you your first stop; Ma’Plucker in Beak Street. Their website is super sassy stating ‘Just like the song says if you’re good to mama, mama’s good to you, and boy is this mama going to be good to you. Sylvia left the Deep South and has roosted in the heart of Soho to give London’s poultry loving boys and girls just what they need. 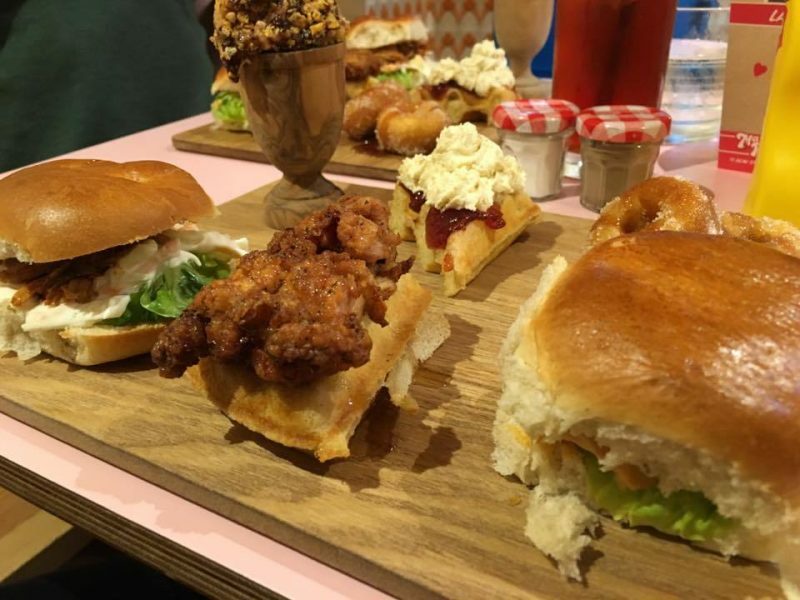 Serving up the best of the best-fried chicken with a side of R&B, a hefty portion of soul and laugh that makes the other chicks blush, Ma’ Plucker is going to be your number one chicken stop.’ Which I loved when I went to see what my afternoon had in store. 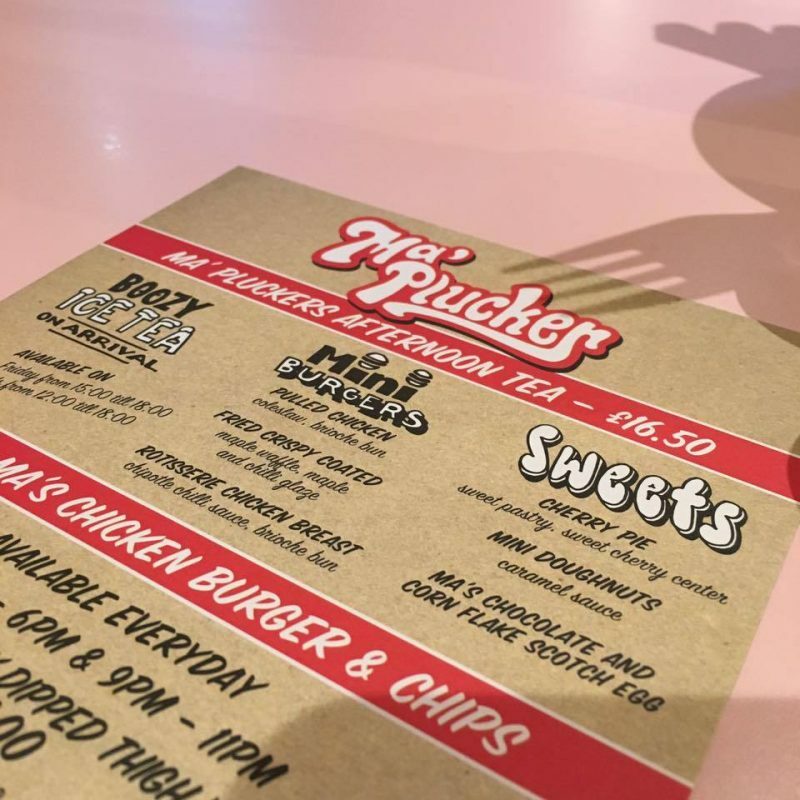 Hidden at the very end of Beak Street, Ma’Plucker is a fairly new establishment but has built up a reputation for great chicken! With a three-course meal deal, your usual a la carte and an afternoon they have all of your chicken needs covered. 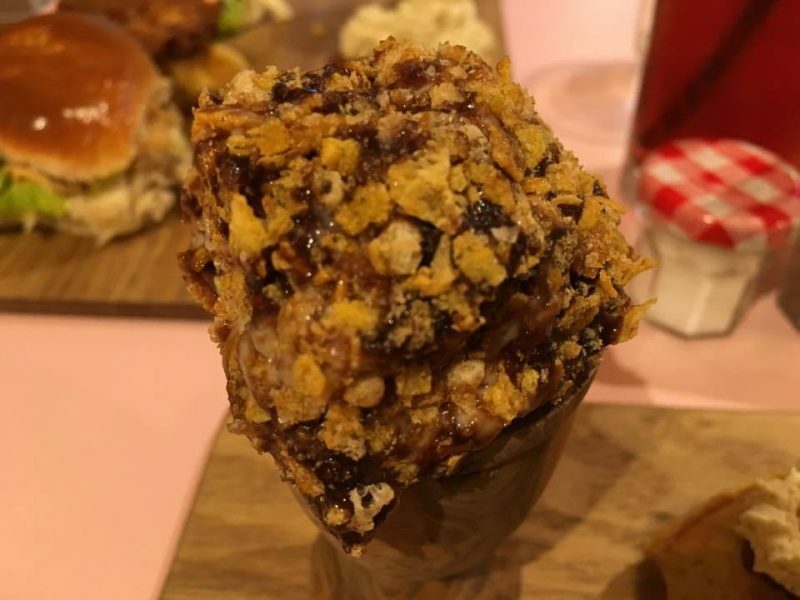 The savoury options we got were coronation chicken in a brioche bun, chilli glazed chicken on a waffle, and our sweet options were mini doughnuts with caramel sauce, chocolate and cornflake scotch egg and waffle with jam and cinnamon. Chilli-glazed chicken on the waffle and I am going back for a full portion of this for sure! And the chocolate and cornflake egg that was filled with fondant just like a Creme Egg! With your afternoon tea you can have a glass of prosecco or a boozy iced tea, and boy oh boy, the iced tea certainly was boozy! So go for that for sure! I have to say we left feeling really full up and were highly impressed with our meal. I’m super tempted to go and check out the Ma’Plucking Quiz too! THE HO– USE OF PERONI IS BACK! "Men & Their Stag Dos! 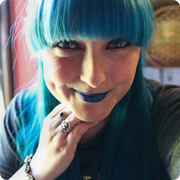 *"
I can’t believe I did’nt know about this place and I live in the West end, thank you so much for posting this. I’m heading over there this week.